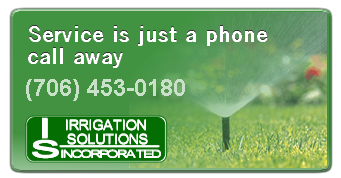 Irrigation Solutions can locate and repair any sprinkler problems you may have. We can replace old controllers and add rain sensors as well as replace sprinkler heads and making coverage adjustments. 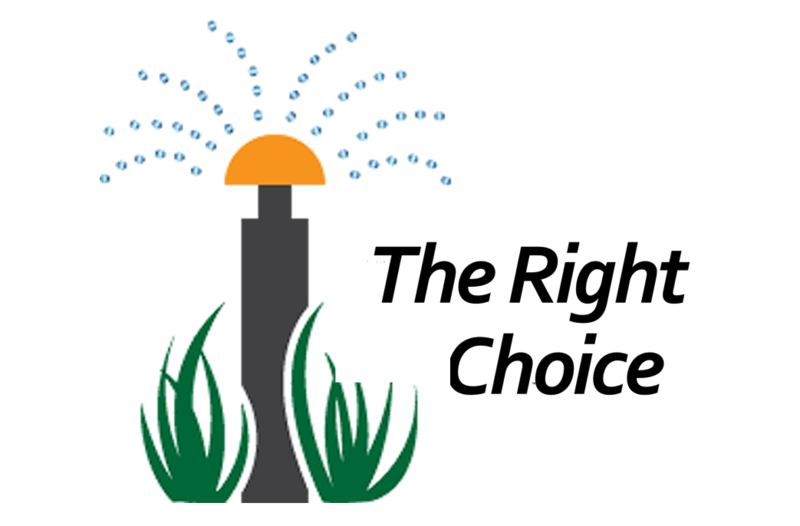 From minor sprinkler system repairs to major irrigation system installation, Irrigaion Solutions provides the irrigation expertise and services necessary for optimum lawn care. Using only high quality products from recognized and reliable brands like Hunter and Rainbird, Irrigation Solutions provides worry-free irrigation repair services. We sell, service and repair all residential and commercial pumps. With over 30 years' experience in the irrigation industry, you can count on the professionals of Irrigation Solutions for all your irrigation needs! Even when you have a well installed, good quality sprinkler system, much like everything else that is constantly used by homeowners, this can sometimes break down and will need maintenance and repair work done on it. If you try to fix these yourself without really knowing what is wrong, or how to remedy the problem, you might just find yourself with a yard sprinkler system that needs more than just minor repairs. When you need to have your sprinklers fixed, you should always call sprinkler systems repair professionals to do the job for you. With over 30 years experience in the irrigation industry, you can count on the professionals of Irrigation Solutions for all your irrigation needs! If you find pools of water around your lawn and you seem to be suffering from low water pressure at the same time, chances are, there are cracks or holes in your pipes. Most sprinkler systems use PVC pipes and while these are durable enough, exposure to the elements and to water pressure can lead to cracking and leaking. These cracks can also come from people stepping on them or cars going over them (yes, even when these are buried underground). These can also crack due to the changes in weather. This is a problem that usually surfaces when a yard irrigation system or sprinkler system is installed by people who are not specifically trained to install such a system. When professionals install your sprinkler systems for you, they seldom if never use water that comes unfiltered directly from any source. Filtered water is your best bet for your sprinkler system and if you find your plants deteriorating even when these are being cared for regularly, you may have a problem with water quality. 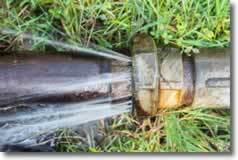 Seeing wet and dry patches on your lawn can easily mean that you have broken or blocked sprinkler heads. Other indicators of this problem would be puddles of water near these sprinkler heads or dry patches near these sprinklers even when these have been regularly turned on. If you find that your sprinklers don’t seem to be sprinkling water at their usual output rate, the possible problem would be low water pressure. A simple check of the valves will tell you if this is a problem. 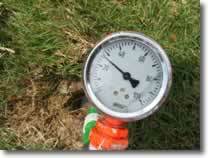 This can mean that you have broken pipes or pump system problems. To address any of these sprinkler system problems, and to get the right kind of irrigation system repairs, it is best if you consult with professionals like our irrigation specialists here at Irrigation Solutions. Not only do we have the skills to get to the root of the problem, we will also be able to fix these issues quickly. Contact us now at 706-453-0180 and we can help you with your sprinkler system repairs today!